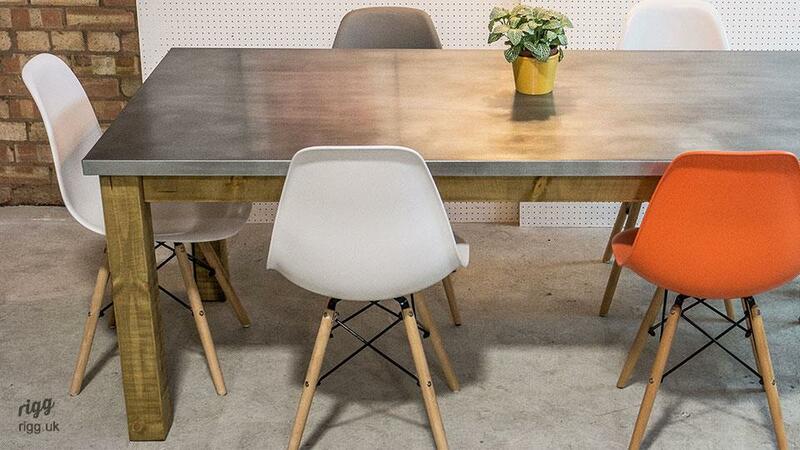 Our zinc top dining table combines a wonderful grey zinc surface with sturdy wooden legs. We can create a patina on the surface (shown) or supply it as natural zinc which is lighter. 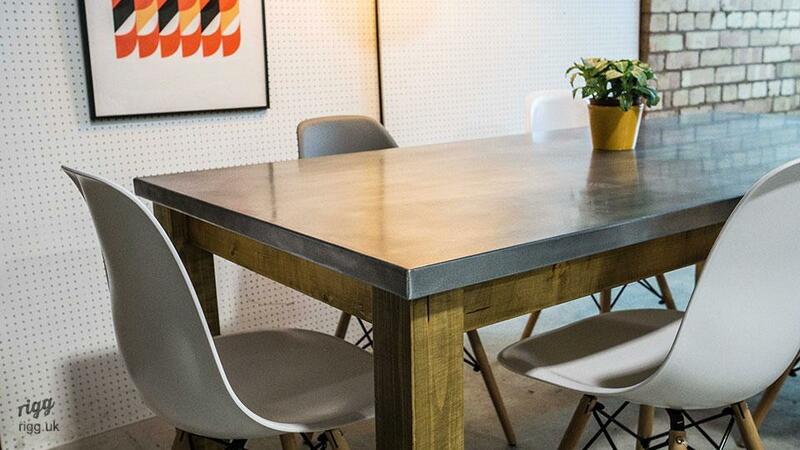 Also made in our UK workshops, we offer a variation on this piece: our Zinc Table. In common with most other similar products the patina of our zinc top dining table will grow over time adding to the character. We can also seal the top to slow further ageing and wear marks. The removable legs are 8cm x 8cm in section, which when combined with the strong wooden frame ensure the table stands firmly. 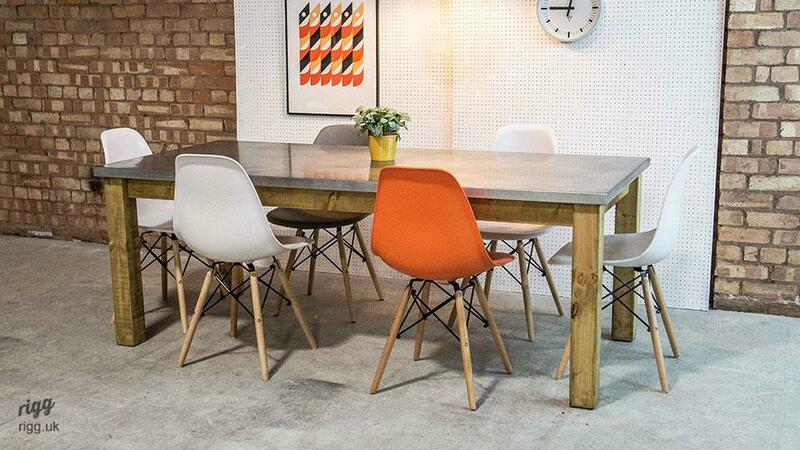 Please contact us if you have questions or require a bespoke size or special finishes such as painted legs and frame. 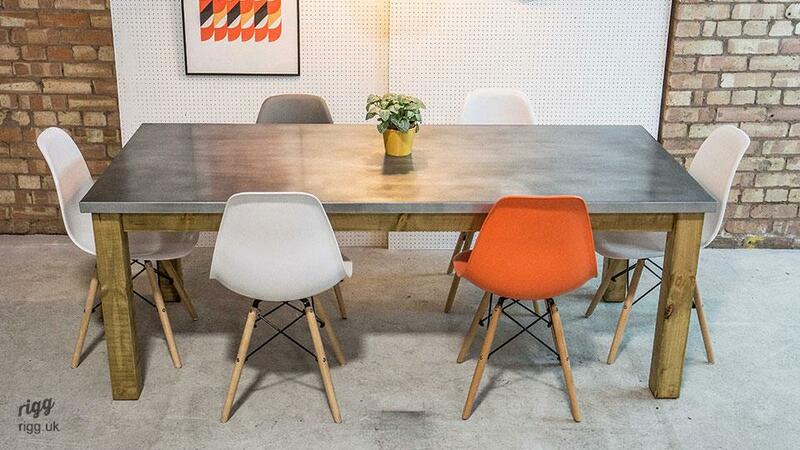 We can also make many of our other designs as a zinc top dining table. 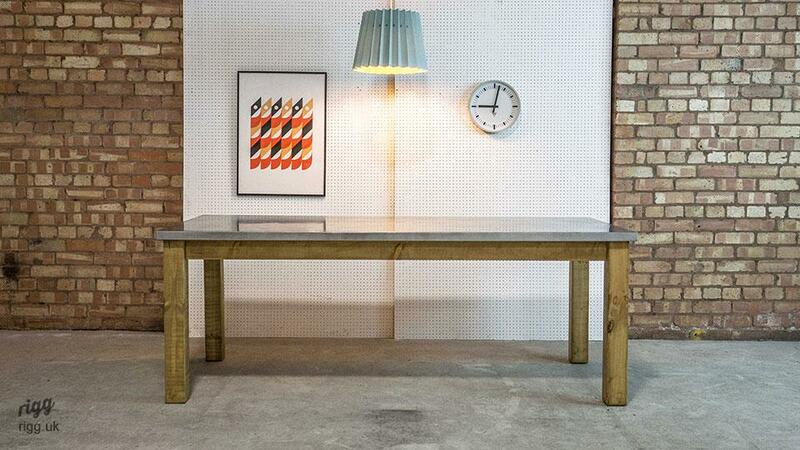 For example we can fit our refectory table with a zinc top.